She wore plastic pearls to inaugural balls and didn’t care what you thought about it. She loved the color blue and always remembered what was important; her family, her Jesus, and baseball. I’ve been sitting here for the last hour crying ugly tears. Not because I am sad, but because I was so honored to watch the end one of America’s longest running love stories. A marriage not just for show, not for some political purpose, but for love, everlasting love. Even in the end, Mrs. Bush was being an example to all of us. Two days before she died, after having a hard day, she went up to rest for the night. When the priest went up to check and pray with her, she let him know that she wasn’t expiring today and to go back down and tell Mr. Bush that she thought he was so handsome. 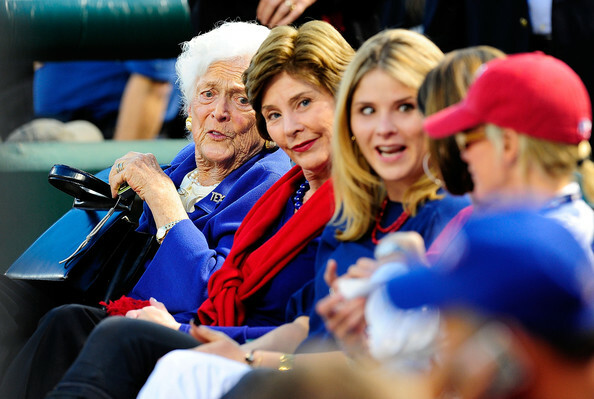 Mrs. Bush had every detail of her final public appearance planned. Grandchildren would sit together. Grand spouses behind them. Granddaughters would enter first and would wait for each other to be seated. She let them all know they could wear black or blue but she would prefer no brown. Her children, too, would sit together in specific order. George W would be in charge of President George HW Bush, her man. Her only daughter would sit to the right of her husband during the service. 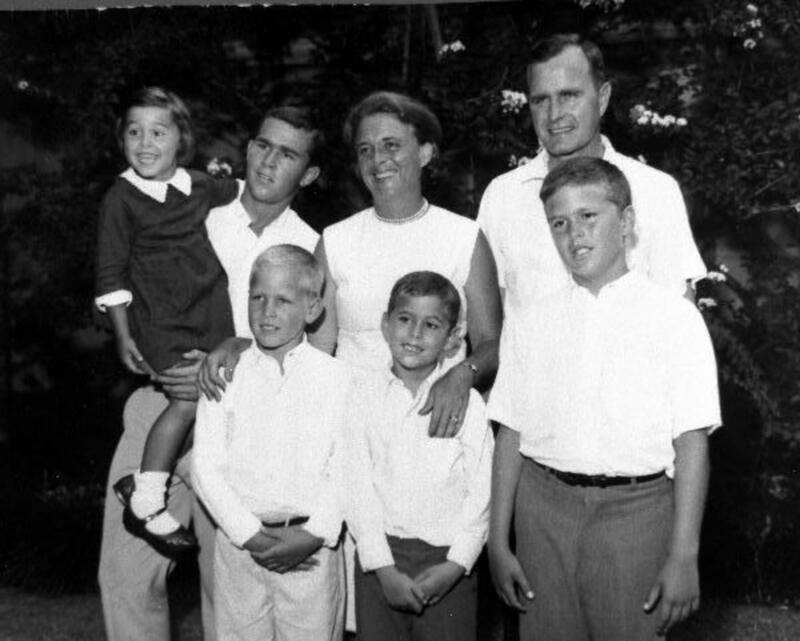 Jeb would talk for the family because let’s face it, George W would be too emotional or silly or flat out inappropriate. And then, the service was a light, full of family, love, laughter, and Jesus. It had granddaughters reading scriptures, grandsons straightening President Bush’s hair, and everyone and everything put together; simple and practical…just like Mrs. Bush. 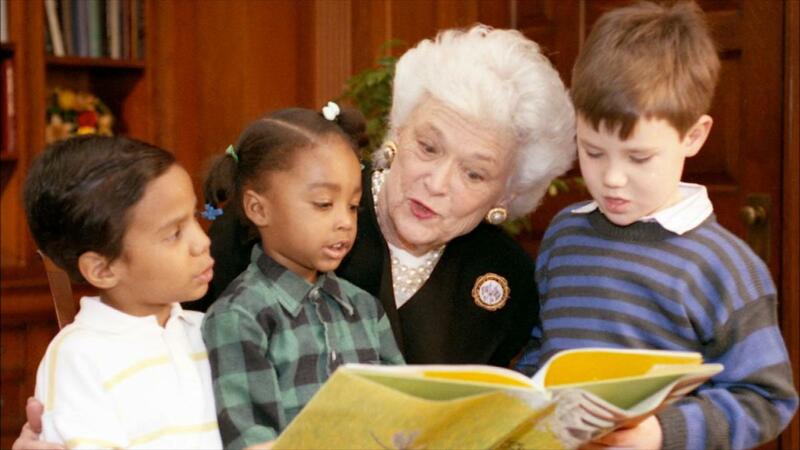 Her legacy will live through her vision for ALL to have the gift of literacy. She not only focused her attention on the young but worked with the older generation giving them a second chance at learning to read and write. She imagined a world where everyone could read their children a bedtime story. And just like any good book, Mrs. Bush left us smiling, continuing to think about her and wishing for a few more pages. 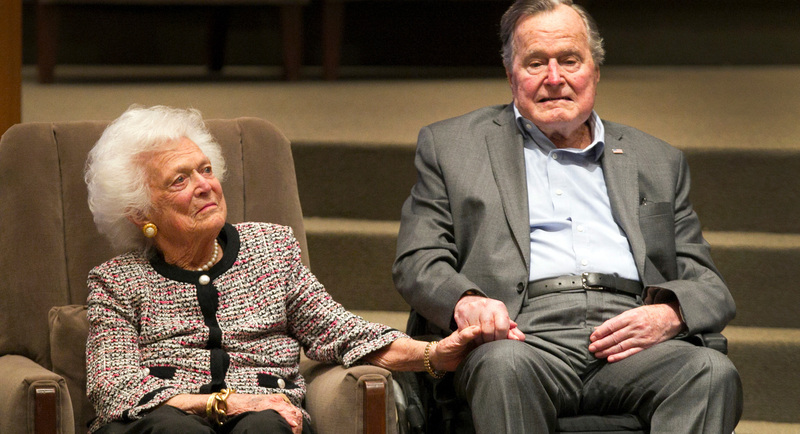 On April 17th, as President George HW was sitting holding her hand, the lights went out in Houston and Mrs. Bush took her final breath. Ironic? I think not. I have a feeling God was letting us all know that He was welcoming His good and faithful servant for a race well run. 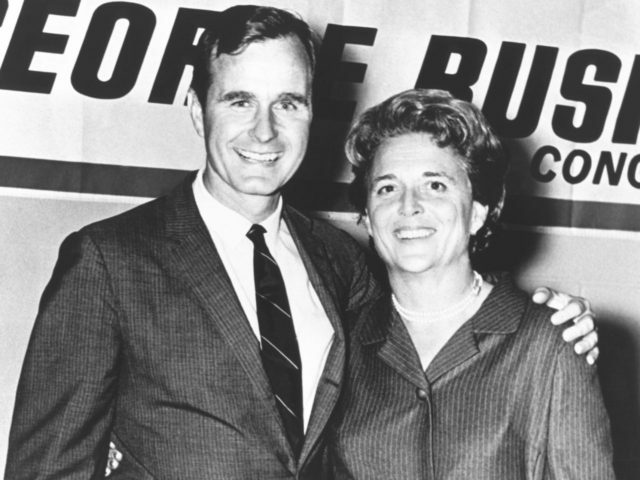 And Mrs. Bush, well, she was letting her family know that she would always be watching and to stay together. Thank you for your example in life and death Mrs. Bush. I’m headed to go sit by my man for a while in your honor. Beautifully written!! She was my favorite First Lady!